‍As a third-party compatible Tron Wallet people ask us a lot these days about the upcoming BitTorrent (BTT) airdrop. The BTT token will be distributed to every TRX holder no matter the amount they hold. Trust Wallet supports all Tron TRC10 tokens and will therefore also support the upcoming BTT airdrop. As a user all you have to do is hold Tron inside your Trust Wallet! BitTorrent Inc.(owned by TRON) is an Internet technology company based in San Francisco. It designs distributed technologies that scale, keeps intelligence at the edge, and keeps creators and consumers in control of their content and data. BitTorrent (BTT) allows content creators to connect with their audience, earn and spend digital currency without a middleman. BitTorrent (BTT) tokens can be bid in exchange for faster downloads. Since our inception around a year ago, Trust has grown to support more than 10 native blockchains, including their native tokens. Ethereum alone has over 160k+ native tokens which are all automatically supported with Trust Wallet. 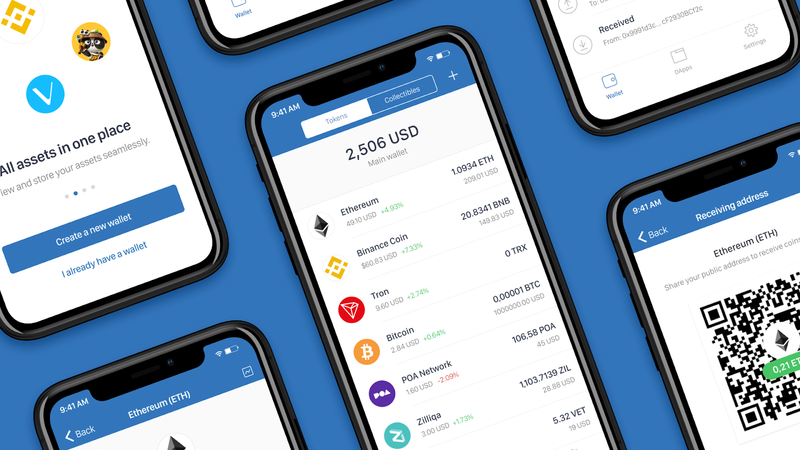 It is also the only mobile wallet that offers you DApp support for Ethereum, POA and Ethereum Classic. We would like Trust Wallet to become your one stop solution for interacting with this new decentralized world, so in the next coming months we will be adding support for native Tron (TRX) DApps and enable our users to fully embrace the seamless experience of having all your tokens, collectibles and DApps in one place. Want to stay up to date on the latest around Trust Wallet and become part of our awesome community? Join us on Telegram and subscribe to our channel.